This is a video consisting of photos of the Los Angeles music scene in the early and mid 1970s. "I've Loved These Days" is © 1976 Sony Music Entertainment. "I've Loved These Days" is Billy's goodbye to the decadent Seventies, or at least to a decadent Los Angeles as Billy returned to the reality of New York. While the elegiac music of "I Loved These Days”;sounds like a wistful goodbye to happy times, the lyrics betray a somewhat more cynical view of a life centered around "satin sheets" and "fine cocaine." Although not as harsh as his earlier "Los Angelenos," Billy's "I've Loved These Days" reflects an uneasy ambivalence toward the indulgent "me" generation of the 1970s as epitomized by the Los Angeles lifestyle. He did love those days, but was happy to say goodbye to Hollywood and get back into a New York state of mind. Billy discusses "I've Loved These Days," from SiriusXM. Click player below. Jim Beviglia writes an excellent review of the song in American Songwriter in 2012. It's unusual (and welcome) that a relatively obscure song like this from 1976 would be reviewed in 2012. American Songwriter is superb in that regard. A live version of the song is on 1981's Songs In The Attic. "We'll drink a toast to how it's been . 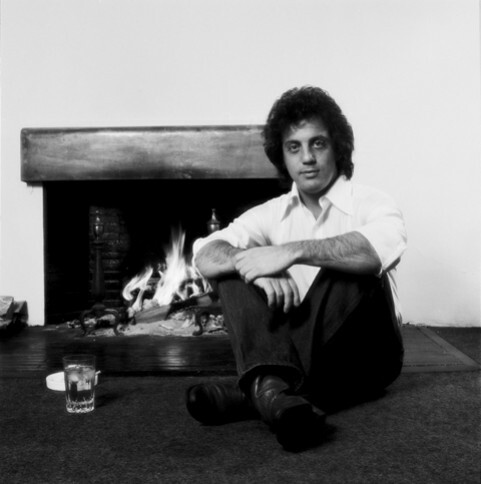 . . "
​Billy Joel (1976). Photo by Michael Putland.